How many people have we heard from who want to blast their political message across a wide swath of Front Porch Forum? Too many to count. It makes sense. FPF has a huge local audience and Town Meeting Day is March 2… less than a week away. Candidates, political parties, advocacy groups… they all are working to get the word out about their issue, their campaign. Most people are glad to read items from their clearly identified nearby neighbors… then continue the conversations on the sidewalk or at the local store or school. FPF members seem less excited about reading one-way bulk postings from non-nearby neighbors. That said, FPF does offer a range of options around elections, spelled out in our FAQ. If you want to weigh in before Town Meeting, check out the guidelines and start posting! Case in point… a Burlington resident who opposes a ballot measure to repeal Instant Runoff Voting. She asked FPF to broadcast her posting across many of Burlington’s nearly 40 online neighborhood forums. We declined and encouraged her to post it on her “home” neighborhood forum and ask friends in other neighborhoods to forward her message. She took our advice and now we see her message popping up all over the city, and in each case it has a lead-in sentence from the friend stating their agreement with her position. So now thousands of potential voters are getting the message, each with an extra pitch from a nearby neighbor… very effective. “Best advocacy tool in town,” is how she put it. And the original advocate had to convince dozens of friends across town to help her get her message out. This is democracy! Just the opposite of big money buying elections through mass media. Indeed, I answered a knock on my door this morning and found a neighbor returning a borrowed pan. We took the opportunity to discuss the merits of the IRV-repeal ballot measure for five minutes, each getting a little more food for thought before our respective moments in the voting booth next Tuesday. A great use of Front Porch Forum! Thanks to VT State Rep. Suzi Wizowaty and 23 co-sponsors for honoring Front Porch Forum users with HCR235! Resolved: That the Secretary of State be directed to send a copy of this resolution to Michael Wood-Lewis at Front Porch Forum, Inc. in Burlington. AARP Vermont grants for a livable Burlington! “These sponsorships are intended to inspire and support grassroots groups that have a vision for their neighborhood or the city and how it can be improved to the meet the needs of all residents,” said Jennifer Wallace-Brodeur of AARP Vermont. “The sponsorship is open to grassroots groups and small non-profits in Burlington and should represent a desire to make change through local level activism and advocacy.” Following the May 6 application deadline, three groups will be selected for grants ranging from $500-$2,000. Pardon a very old fashioned and stupid cliche but I personally think Front Porch Forum is the “next best thing to sliced bread.” I LOVE opening the posts and as I live in both Huntington and Starkboro (at the same time) I am lucky to get both. I have told just about everyone I know and a zillion business people about FPF and tell them they MUST join. It’s the BEST thing ever and I hope you spread it to all rural communities across the USA!!!! Media Crap Index… How do you score your media? How about this? 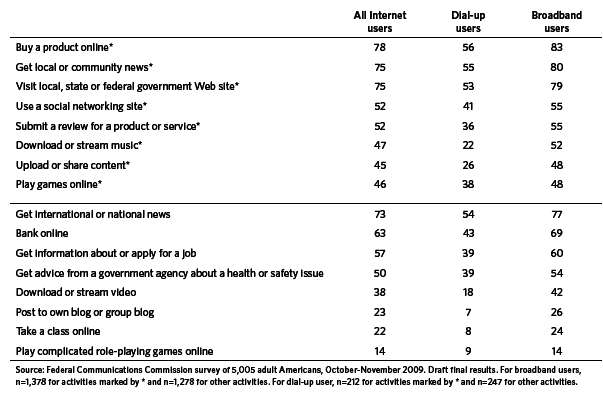 Go ahead and score each form of media on your very own Media Crap Index… MCI. For example, email channels are flooded with spam, some reports put it at 95% of all messages sent. So, email gets an awful 95% MCI… that is, 95% of email is crap. But how about other media? TV… considering all channels, 24/7, including ads… my TV MCI = 95% too. Radio… well, I’m a picky listener… I find myself drawn to a 95% score again. Daily local newspaper? What I actually read (without regret)… better than above… maybe MCI = 80%. Facebook… oy… sorry “friends”… my MCI = 95% too. A question… how easy is it to glean out the non-crap portion from these various streams and let the unwelcomed bulk float away from you ASAP? Spam filtering, when it works, makes email a good fit for me… cutting my email MCI down to about 10%. But TV and radio? The best filter for me is abandonment… so I instead stream shows/music online that I want to see/hear… but they still come with ads that don’t appeal… so my streaming MCI might be around 25%… much better. Print daily newspaper… hard to filter… but I’ve been doing it since my first paper route in second grade… so my custom-built neural filter is well-honed, slicing thru the crap ably. Facebook… well, to confess my Web 2.0 sins, I haven’t managed well, and now I just don’t have the wherewithal to wade in and pluck the lovely items from frothing stream of… what… I guess my Facebook flow calls to mind a tittering group of junior high girls around someone’s locker before 4th period. So I don’t know how — and I’m just not motivated to try — to cut my FB MCI below its painful 95% crap level. Twitter… I know there are ways to filter… to get the noise down… but I just haven’t seen enough value to convince me to build myself a better experience with a tolerable MCI. Well, now I’ve likely offended several friends and colleagues, and for that I apologize. I don’t begrudge people their media choices, and I understand that the more popular a media option becomes, the higher its MCI climbs (gotta pay the bills with ads, and you gotta attract the teeming masses). But the hype around today’s darlings can get overwhelming. At what point can we start talking about Facebook like reasonable people did about TV in the 1970s and 80s… they watched a few hours of it every night, but drove to work the next morning with a “Kill your TV” bumper sticker proudly displayed. So, I look forward to better filtering across the board… drive down those MCIs on the super popular choices. And I’ll keep looking for niches with lower MCI ratings… oh… here’s one… a hand-written letter from a loved one? MCI = 0%! P.S. I reserve the right to change my mind on this. Educate me, please! Local businesses reach out to neighbors through Front Porch Forum every day in a number of ways. Small start-ups simply post to their nearby neighbors letting folks know that they are open for business. Other companies purchase advertising. Nonprofits often ask their supporters to post event announcements, each on his/her own FPF neighborhood forum. Local institutions and municipalities are buying subscriptions that provide access to their area neighborhood forums. And, of course, neighbor-to-neighborhood recommendations flow through FPF at a rapid rate… plumbers, roofers, mechanics, dentists, arborists, snow plow kings, and on and on. People like to ask their neighbors and FPF helps that to happen easily and with lots and lots of nearby neighbors all at once. FPF staff are available to speak with business groups about all this. Indeed, we addressed the Burlington Referral Organization this morning. Tomorrow we’ll be at the CEDO Winter Business Fair. We’ve enjoyed sharing our message with several Chamber of Commerce groups, Rotary, VBSR, business school classes, leadership institutes, and more. Here’s a note about the Feb. 11 business fair in Burlington. McKibben’s animating idea is that we need to move beyond “growth” as the paramount economic ideal and pursue prosperity in a more local direction, with cities, suburbs, and regions producing more of their own food, generating more of their own energy, and even creating more of their own culture and entertainment. He shows this concept blossoming around the world with striking results, from the burgeoning economies of India and China to the more mature societies of Europe and New England. For those who worry about environmental threats, he offers a route out of the worst of those problems; for those who wonder if there isn’t something more to life than buying, he provides the insight to think about one’s life as an individual and as a member of a larger community. As someone very interested in renewable energy systems that works in Westford, I’m encouraged by the recent posts from neighbors sharing their experiences with solar hot water heaters. These forward-thinking individuals made the investment with less information and financial incentives than is now available and today they are reaping the financial and environmental rewards. Other neighbors have recently installed photovoltaic systems or are considering wind to generate their own electricity. Please continue sharing your stories. You are an inspiration. Yes, by all means, let’s keep inspiring each other!